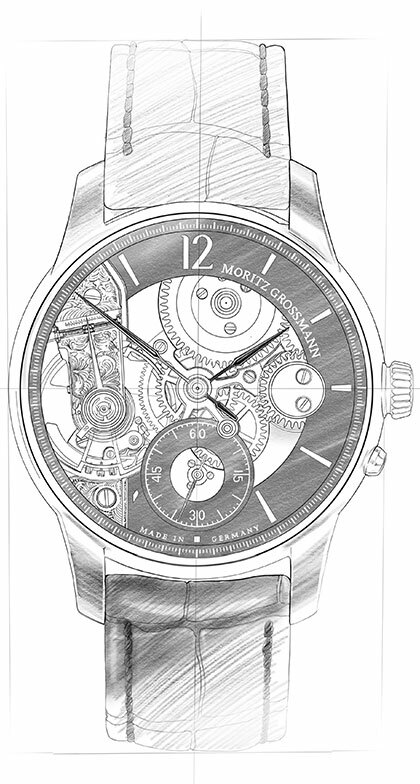 A balanced colour scheme and the calibre 100.1 in a high-artistic finish sets this watch apart from the crowd. 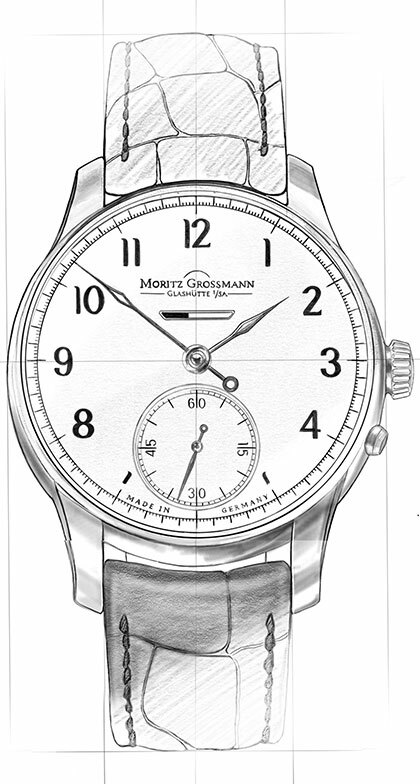 The ATUM White Brown also reflects a feature of the present-day manufactory — the striking use of steel annealed in brown. 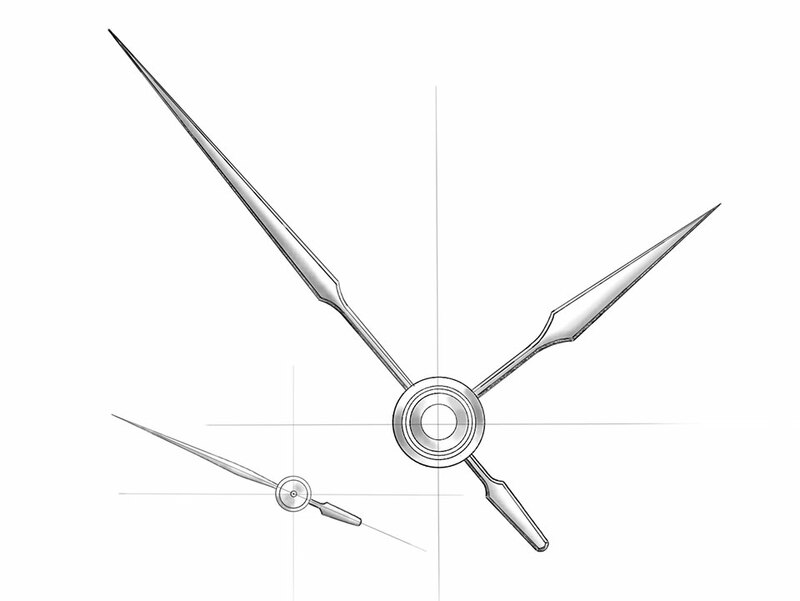 Brown markers and hands decorate the bright white dial. 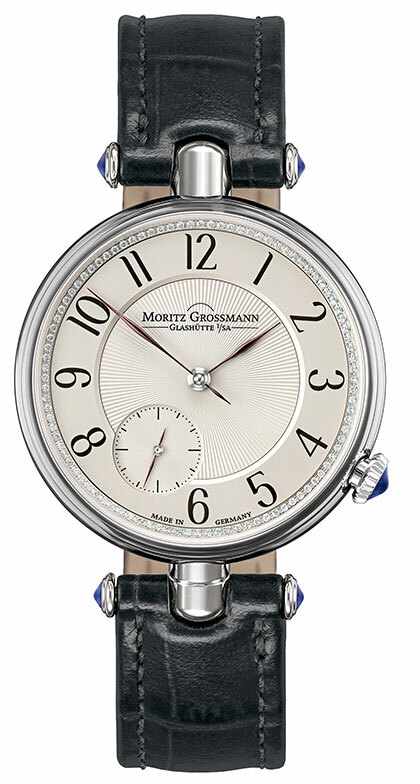 A brown alligator leather strap and an understated steel case round off the subtle yet striking look. 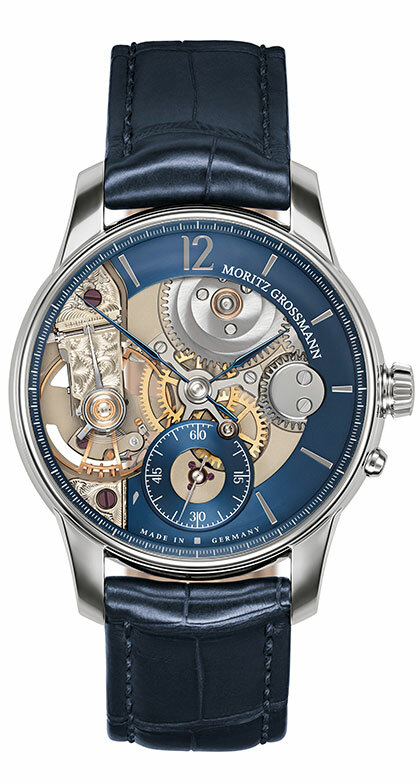 Inside the movement, the screws in their gold chatons, the regulating nut and the back bushing are also annealed in brown by hand. 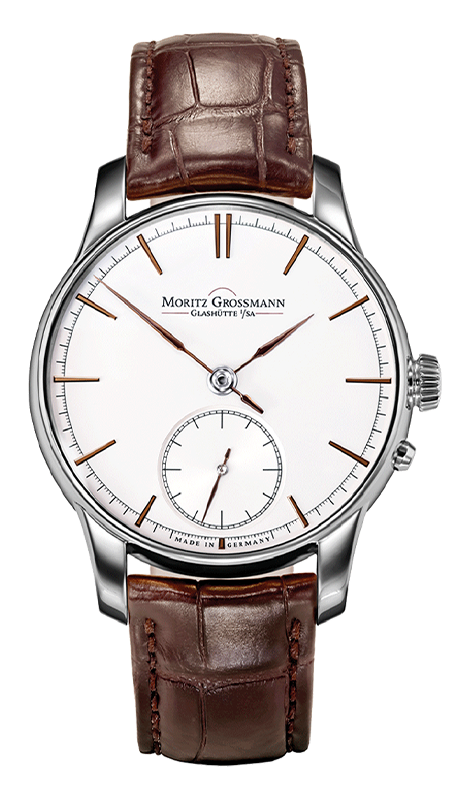 Moritz Grossmann was a distinguished and elegant character, traits shared by the ATUM White Brown — with its classic lines and rich colours. 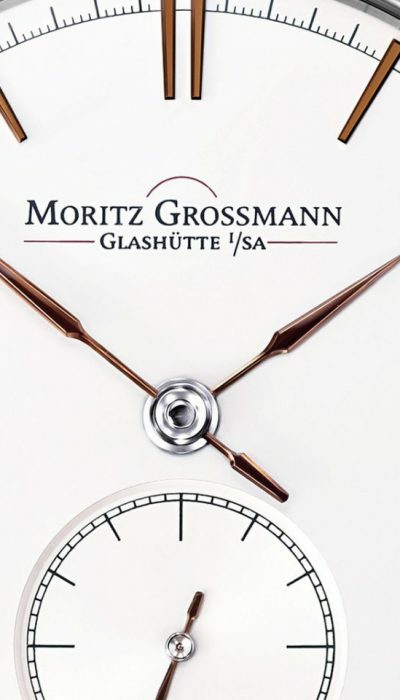 As well as being a master horologist, Moritz Grossmann was a great philanthropist who helped to make Glashütte a livelier, more vibrant place. 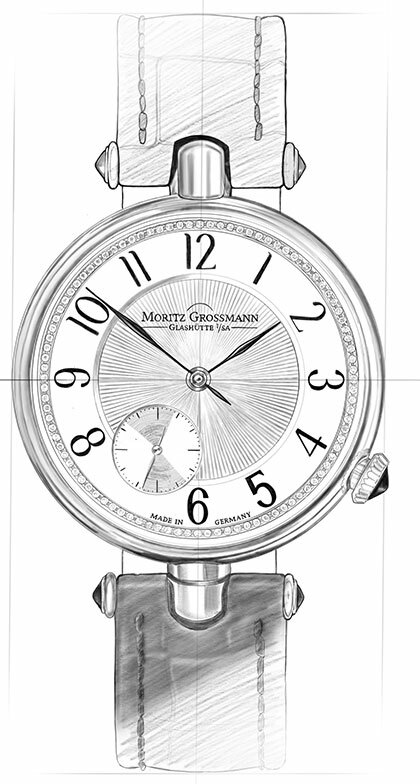 Grossmann’s intellectual curiosity led him to become involved in a large number of associations and institutions. 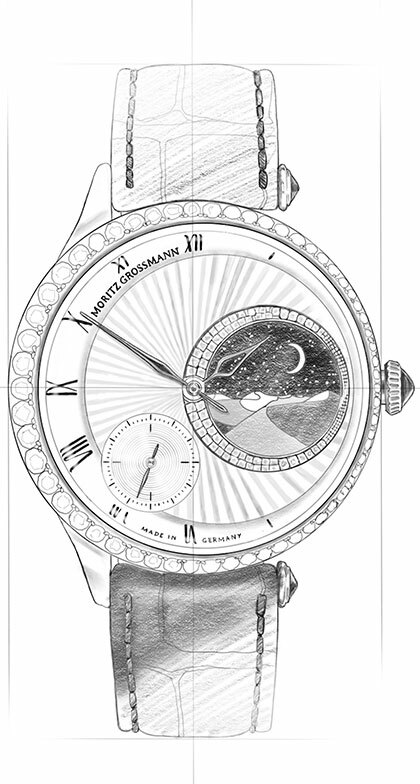 He supported student watchmakers, for example, by giving them free language tuition in the evenings. 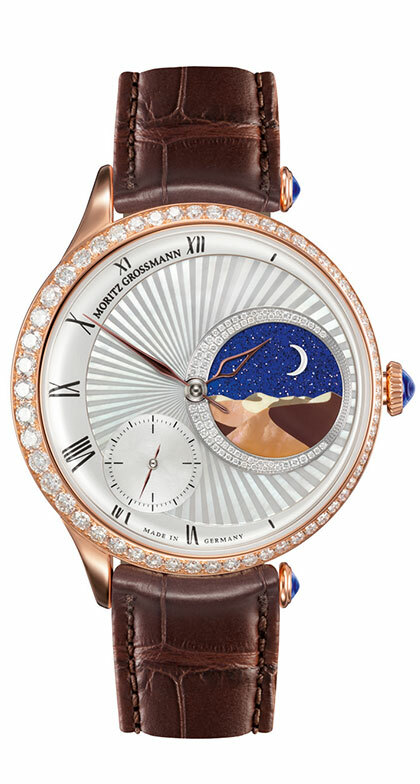 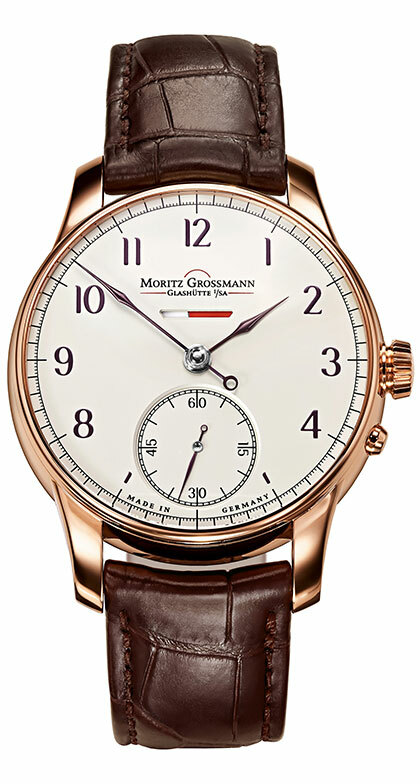 The Moritz Grossmann brand manufactures timepieces to the highest standards of craftsmanship under the tagline “Schönstes deutsches Handwerk” — “The most beautiful German craftsmanship”. 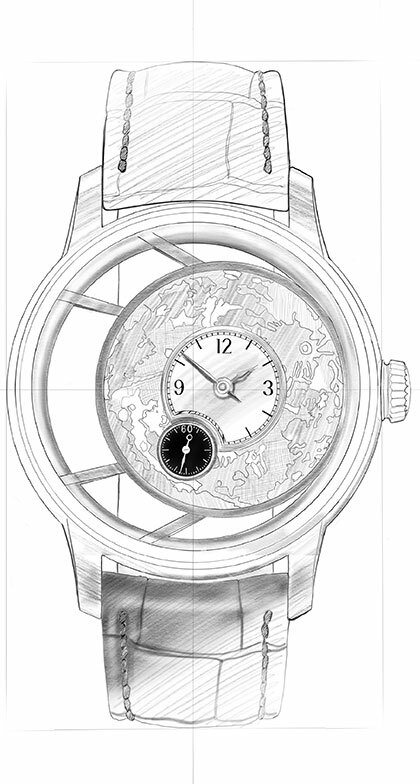 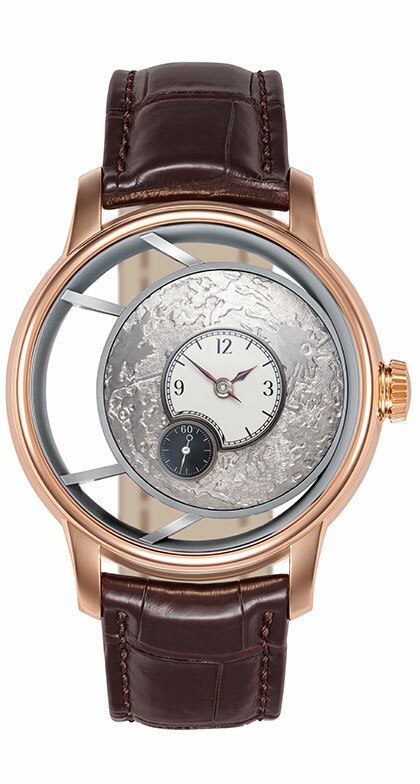 The ATUM White Brown is offered with the calibre 100.1 in an artistic hand finish as a single edition 1 of 1.